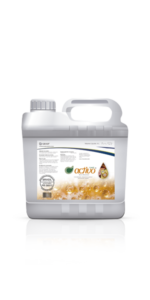 Blend of selected secondary plant compounds and organic acids. Better growth due to synergistic effect on regulating the microflora of the gastrointestinal tract. Recommended for preventive use in poultry or swine or during periods of challenge. Applicated in water for drinking.